Pomona, California, is a bustling city in Los Angeles County, California. Pomona is just 27 miles from downtown Los Angeles and 31 miles west of Riverside. Given its proximity to Los Angeles, the city has experienced the same problems with drug and alcohol abuse is its larger neighbor. Pomona drug rehabs and substance abuse treatment centers offer services for those suffering from addiction. If you live in Pomona, and have fallen victim to substance abuse don’t hesitate to seek treatment. There are enormous resources in at your disposal. Pomona was settled in the 1830s and was officially incorporated in 1888. Since then, its population has grown to over 150,000. Over 70% of Pomona’s residents are Hispanic or Latino. 48% of residents are white, 7.3% are Black or African American, and 8.5% are Asian. A relatively large portion of the population (21.5%) lives below the poverty level, which is higher than the state average of 15.8%. The median income of Pomona is $50,360, which is lower than the state’s median income of $63,783. 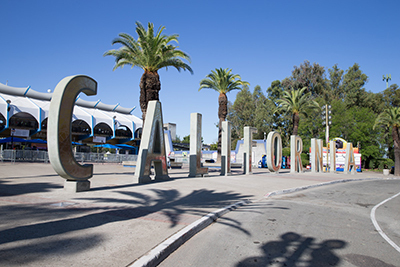 Pomona, California, is home to the Los Angeles County Fair and Fairgrounds. It made the news in 2015 when two young women died from a drug overdose at a music festival at the fairgrounds. Los Angeles County has seen its fair share of drug overdose deaths, though the opioid crisis hasn’t hit the county, or California as a whole, quite as hard as it has hit other states. This doesn’t mean that Los Angeles County is free of drug and alcohol addiction. A survey found that 22% of those age 12 and over had binged on alcohol in the past month. Marijuana was the next highest, with 8% having used it in the past month, and 4% of those 12 and over had used an illicit drug other than marijuana in the past month. In the past year, 5% of those age 12 and older had used prescription pain relievers for non-medical uses, and 2% had used cocaine. Young people in Los Angeles County public high schools showed a high rate of experimenting with drugs. A 2015 survey showed that 53% of high school students had used alcohol at some point, and 35% had used marijuana. Heroin is still an area of concern for Los Angeles County, though. Out of all treatment admissions, 31.2% were for heroin, followed by 25.3% for meth, 17% for alcohol, 16.1% for marijuana, 4.4% for cocaine, and 4% for prescription opioids. Statewide, 4,600 people died of drug overdose in California in 2016, and 1,925 were due to opioids. Fentanyl deaths rose 47% in 2016. To address the concerns regarding opioids, the state has a safety coalition that provides education and expands access to Narcan, which can reverse opioid overdose symptoms. Parents with addiction. There is a genetic factor in addiction; genes account for about 50% of your risk of becoming addicted. Additionally, if your parents were abusing drugs or alcohol, you may have had easier access to obtaining those substances at an early age. Trauma or neglect. Experiencing abuse or neglect or other trauma can make you more vulnerable to becoming addicted to drugs or alcohol in order to cope with the traumatic experience. Experiencing life changes or upheaval can make you more vulnerable to drug or alcohol addiction. Social pressure. If those around you are regularly using drugs or alcohol, it’s easier for you to obtain. It can be hard to stand up to pressure from people you care about. Additionally, as you become addicted to drugs or alcohol, it has an effect on your brain and brain chemistry. Specifically, the brain may release excessive amounts of a neurotransmitter called dopamine. Excessive dopamine creates a sense of euphoria and reinforces behaviors. In response to the excessive dopamine, your brain creates less dopamine, leading to needing more and more drugs to get the same feeling. Drug or alcohol addiction doesn’t start overnight. There is a process to becoming addicted. If you or a loved one is showing signs or symptoms of becoming addicted, it’s important to seek help. The process of addiction typically begins with experimentation. Experimentation means occasionally using drugs or alcohol. Although experimentation can seem harmless, it can lead to later stages of becoming addicted. Experimentation can be particularly harmful to pregnant women, who can potentially harm their fetus through drug or alcohol use. Experimentation can also be dangerous if it leads to risky behaviors such as driving under the influence. The next stage in the process of becoming addicted is regular use. Regular use is using drugs or alcohol without becoming addicted. You’re able to choose not to use the substance of choice. This can quickly lead to the next stage, which is risky use or abuse. It’s at this stage where beginning signs of dependency may be seen. You may choose to continue to use drugs or alcohol despite social consequences, and you may begin to have cravings when you don’t use your substance of choice. This leads to the final stage of addiction, which is addiction and chemical dependency. Addiction includes physical dependence as well as psychological dependence. Psychological dependence means needing drugs or alcohol in order to maintain your sense of wellbeing. Physical dependence means that you experience withdrawal symptoms when you stop using drugs or alcohol. Changes in behavior. You loved one may be act erratically, act secretive, or seem more easily agitated than normal. They may have new friends they didn’t before or withdraw from their friends and family. Changes in appearance. Your loved one may no longer take the same care with their appearance. They may also suddenly gain or lose weight. Issues at work or school. Your loved one may stop going to work or school, or become disengaged and disinterested in school and work. Money issues. Your loved one suddenly needs more money than before, or money goes missing from your household without any explanation. Marijuana: Red eyes, dry mouth, anxiety, slower reaction time, difficulty concentrating, lack of coordination, and food cravings. Synthetic cannabinoids (K2, Spice): Elevated mood, anxiety, agitation, paranoia, hallucinations, and confusion. Synthetic or substituted cathinones (bath salts): Increased sociability, increased energy, agitation, paranoia, delirium, hallucinations, and violent behavior. Barbiturates, benzodiazepines, and hypnotics: slurred speech, lack of coordination, dizziness, irritability, and difficulty concentrating. Cocaine, methamphetamines, and other stimulants: Insomnia, dilated pupils, rapid speech, confusion, paranoia, and aggression. Club drugs (ecstasy, GHB, ketamine): Hallucinations, dilated pupils, chills, tremors, and memory problems. LSD: Hallucinations, impulsive behavior, and tremors. PHP: Hallucinations, involuntary eye movements, problems speaking, and problems with coordination. Inhalants: Involuntary eye movements, tremors, dizziness, and combativeness. Opioids: Slurred speech, constricted pupils, lack of coordination, problems with attention and memory, and confusion. If you or a loved one is exhibiting the signs and symptoms of drug or alcohol addiction, it may be time to seek help. Different treatment options are available so you can find one that’s a good fit for you and your situation. Though seeking help may seem intimidating, it all starts with an initial phone call or contact via a website. During your initial contact with a treatment center or program, you’ll need to give some basic information such as your name, age, and the reason you’re seeking treatment. This initial contact is called pre-intake. It’s an opportunity for the treatment center to learn about you and for you to find out about the treatment center or program. If you’re nervous about contacting a program, take a moment to write down any questions you have before you contact them so you feel more prepared. They’ll be happy to answer any questions you have. If the program seems like a good fit for you and your needs, you’ll make an appointment for intake. Intake is your entry point into treatment. During intake, you meet with the members of your treatment team. They’ll ask questions and get to know you in a process called assessment. Your treatment team will typically include a case manager, mental health professional, and medical professional. Your treatment team will work with you to develop a treatment plan. You will also make financial arrangements during intake. Many treatment centers and programs accept insurance. Your treatment program can help you determine the best financial options for you. If you’re entering an inpatient treatment program, you’ll also be able to tour the facility. Each facility has its own rules for visitors, what you can and can’t bring into the facility, and who can visit and when. These rules will be reviewed with you during intake. Assessment is part of the intake process. Your physical health and mental health both need to be assessed in order to create a treatment plan that will work for you. To determine your physical health, you’ll meet with a medical professional. They may have you fill out questionnaires that ask about your health history. This will include any significant illnesses you’ve had, any health issues you’re experiencing, and any prescriptions you’re currently taking. They will also do a physical exam and take urine and blood samples. If you have underlying health issues, such as chronic pain or high blood pressure, it’s important to address these issues as you go through treatment. Your mental health will also be assessed by a mental health professional. You may be asked to fill out questionnaires regarding your history, including any past trauma or abuse. Your counselor will address your history with you, and you may even have an initial counseling session as part of your intake. Many people have underlying mental health issues such as anxiety or depression, and it’s vital to address these issues for your treatment to be successful. The first step of treatment for most is getting rid of the drugs or alcohol currently in your system in a process called detoxification, or detox. As you stop taking drugs or alcohol, you’ll begin to experience withdrawal symptoms, These symptoms can be severe, so it can be a challenge to detox successfully at home. Many choose to go through detox in an inpatient facility, where you can receive help and medical assistance around the clock. Detox is typically short, lasting from a few days to up to a week. When you stop taking drugs or using alcohol after becoming addicted, you experience various symptoms and side effects. These symptoms are called withdrawal. The exact withdrawal symptoms you’ll experience depend on a few factors, including the type of substance you were using, how much you were using, your health, and genetics. Withdrawal symptoms for alcohol, for example, may include anxiety and agitation, shakiness, sweating, vomiting, and trembling. Alcoholics can also experience delirium tremens, or DTs, which can cause seizures, and, in rare cases, death, which is why it’s important that detox is closely supervised. Withdrawal from drugs may include symptoms like stomach pain, sweating, shaking, and seizures. Specifically, opioid withdrawal may include aches, insomnia, agitation, and anxiety. Cocaine withdrawal may include fatigue, depression, increase in appetite, and insomnia. To assist you with managing your withdrawal symptoms, your treatment may prescribe medications. These may include antidepressants or anti-anxiety medications as well as other medications. If you’re withdrawing from opioid addiction, for example, you may be prescribed methadone, which helps alleviate withdrawal symptoms and manage cravings. Benzodiazepines are sometimes prescribed to assist with alcohol withdrawal. We all need to get away sometimes, and this can be even more vital if you’re recovering from an addiction. If you need to get away from your present situation in order to fully focus on your treatment, then you may want to consider entering an inpatient treatment program. Residential treatment programs are a home away from home as you recover. You live on-site, and your room and board are taken care of so you can focus on your recovery. Some residential programs focus on a specific clientele, such as women, executives, or adolescents. You may want to go to a treatment center close to home, or you may decide to try one in another part of the country to give you a fresh perspective in new surroundings. Residential treatment centers vary in terms of what they offer. All provide medical assistance and individual and group counseling. Some may offer spa services such as yoga and acupuncture or therapeutic programs like art, dance, equine, or music therapy. Each treatment center will have rules regarding what you can bring with you, when and if you can receive visitors, and when and if you can leave the treatment facility. The length of stay varies depending on your individual situation and needs. It may be a few weeks or 30 days or more. Not everyone needs or wants to live away from home during addiction treatment. There are numerous programs available that allow you to stay at home while still getting the help you need. A partial hospitalization program is one of these programs. Treatment in a partial hospitalization is still intensive. You attend programming up to five days per week for six to eight hours each day. During the treatment day, you’ll engage in educational programming as well as individual and group therapy. You may also participate in other types of therapy, such as art therapy. At the end of your treatment day, you return home, where you can receive support from family and friends. Outpatient treatment centers allow you to live at home while going through treatment. Outpatient treatment can be ideal if you have family obligations to meet or if you want to continue working while going through treatment. Many outpatient programs have flexible schedules, allowing you to keep much of your regular routine and schedule. Outpatient treatment may be ideal if you live in a supportive environment or have family that you need to support. Intensive outpatient programs are flexible programs that allow you to get treatment while maintaining your day-to-day life. You attend programming for 10-12 hours per week or more. Your treatment program may include individual therapy, group therapy, and educational programming. Depending on the program schedule, you may do your treatment during the day or in the evening, leaving you free to care for family or attend work or school. Completing a treatment program is only the beginning of your recovery. As you leave treatment, you’ll need a plan for continued support. This plan is called aftercare. Aftercare should address your ongoing needs. You’ll need to maintain your health, including continuing any prescriptions you started while in treatment and getting regular physicals. You also need a stable place to live. If your home isn’t suitable for supporting your recovery, you may want to consider sober living. Aftercare should also support you in developing a sense of purpose. As an addict, your life revolved around maintaining your addiction. In recovery, you need to rediscover your purpose and passions. This may mean going back to school, getting training for a new career, volunteering, or taking up new, healthy hobbies. You also need a sense of community. Addiction can damage friendships and relationships, and you’ll need people around you who understand what you’re going through. Support groups and sober living can provide you with that sense of community. If you’re leaving a residential treatment center or have an unstable living situation, you may want to consider sober living. Sober living homes are group homes. You live with other recovering addicts and contribute to the household. Sober living gives you a sense of independence while still being supported in recovery. Sober living homes typically have rules and structure. The most important rule is to stay clean and sober. There may also be a curfew, and you’ll be required to contribute to the household by doing chores. You may be required to pay rent or utilities as well. You may be required to attend and participate in house meetings. You may also be required to be employed, actively seek employment, or attend school. Your length of stay will vary depending on your individual situation. Most sober living homes allow stays of 90 days or more. It is extremely difficult to recover in isolation. As you finish treatment, you’ll need support as you deal with re-entering your life and resuming relationships. Many recovering addicts find attending support groups to be helpful. A facilitator such as a substance abuse counselor or another mental health professional may lead some support groups. These groups typically meet at hospitals, local non-profits, or treatment centers, and may focus on a specific group such as women, teens, or LGBTQ individuals. They vary in terms of format but typically include an educational component as well as time for sharing your challenges. Another type of support group is a 12-step program. These include Alcoholics Anonymous and Narcotics Anonymous. These groups focus on working the 12 steps of the program, which include relying on a higher power and making amends to those you have harmed. Meetings may include reading program literature, discussing the literature, sharing your experiences, and listening to the experiences of others. You may also seek out a mentor, referred to as a sponsor. Your sponsor should be someone who has been in recovery longer. Your sponsor supports you as you work through the steps, and will be there for you as you experience challenges. 12-step meetings take place in a variety of settings, including churches, hospitals, and treatment centers. You may want to attend several meetings per week as you begin your recovery. As your recovery progresses, you may be ready to assist others by sharing your experiences or even becoming a sponsor yourself.